The Chitrakathi of India to a large extent live in Maharashtra. Their name comes from their work with pictures. They speak Marathi and read and write in Devanagari. They are not vegetarians and eat rice as a cereal. The Chitrakathi are monogamous. They have cross-cousin marriages through arrangement. A dowry is used. Divorce and marrying again can take place. Upon the death of the father, property goes to the sons with the oldest son becoming in charge of the home. There are birth and marriage rituals and the dead are cremated. Agriculture is the main work of the Chitrakathi. Some do their traditional work of puppet shows. There are many craftsmen among them. Hinduism is their religion. They believe in education, family planning and modern medicine too. 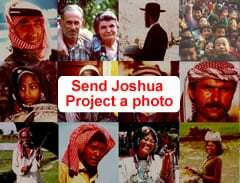 * Pray that God will give the Chitrakathi dreams and visions leading them to Jesus Christ. Singh, K. S., ed. 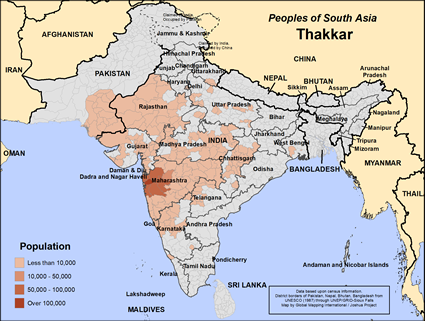 "India's Communities A-Z", Oxford University Press, USA 1999View Thakkar in all countries.